Another year went past and a lot has happened since our last interview. What were your highlights? Another year, yes. It’s weird to see 2018 in the rear window. A lot of my life had dates like 1984, 1999 (Space 1999 was a series centred on Moon Base Alpha), 2000, and 2001 (A Space Odyssey) firmly in the far future. And now they seem antique and 2018 has passed us by without a hint of hover boards or jet cars. In 2018 Grey Sister came out, so that was an obvious highlight. It’s been well received and I’m eager to have people read Holy Sister, the last instalment in the trilogy, in April. I also published a Book of the Ancestor short story, Bound, which was fun and readers seem to like. Grey Sister was on the shortlist for the Gemmell Legend Award (won by Robin Hobb with Assassin’s Fate, the award’s first female winner). And Red Sister won the Stabby Award for Best Book over on r/fantasy. 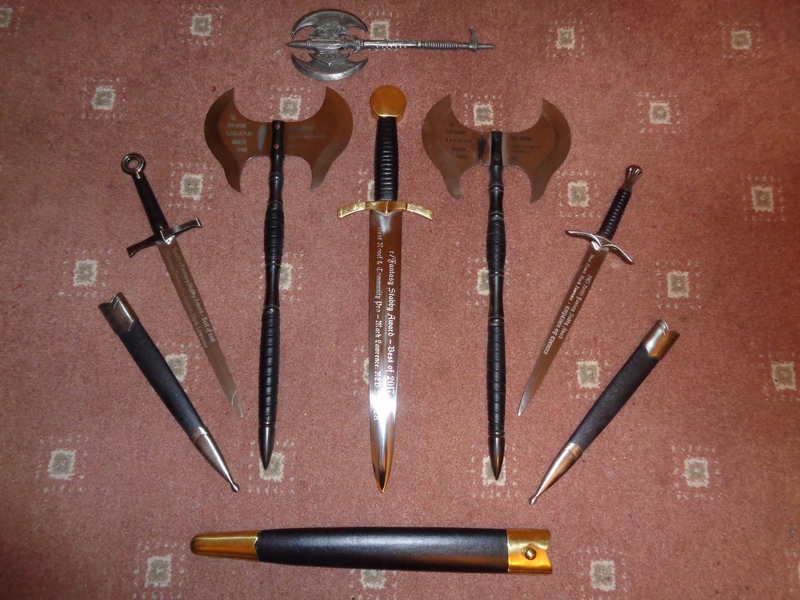 I opted to take the Golden Stabby and recuse myself from the contest for a while so others could have a chance. I guess those were my highlights for the year. And Grey Sister made it to the finals of the Goodreads Choice Awards! The first of my books to make it past the semifinals since Emperor of Thorns. Though to be fair it did get more difficult after that as they combined some categories. Grey Sister also holds a higher average on Goodreads than Red Sister. Most readers seem very impressed with quite a few of your characters (Kettle, Abbess Glass, Zole, Ara and of course Nona, just to mention some of them) and with the close and often complex relationships that form between them in these books. In fact, the only criticism I came upon from a few reviewers was that they found the school setting slow and a little boring. They felt that nothing really happened before Nona left the convent. It’s actually quite unusual for a book 2 not to have a higher average GR rating. The big majority people who didn’t like book 1 in a series will not read book 2, so the readership for book 2s comprises people who like the characters, setting etc and will score it more highly. It’s certainly true that the characters and the relationships between them are a big part of the appeal of the story. Obviously these are not things that can be developed in a single chapter. It takes time for a reader to grow to care about characters. It takes time to understand the dynamics of a relationship, whether new or established. These are things that have to be shown (lived), you can’t just tell a reader to like someone “because she’s nice”. There’s a saying about writing, that every line needs to be doing at least two things to earn its keep. But nobody ever said one of those two or more things has to be ‘advancing the plot’. There is a subset of readers who read for plot (I have, on occasion, called them plotsters [link to blog post]). They feel deeply that if the plot is not advancing before their eyes then ‘nothing is happening’. I don’t write for those people or agree with them. In much of Red Sister three of the things that are happening simultaneously are character development, wordbuilding, and relationship development. 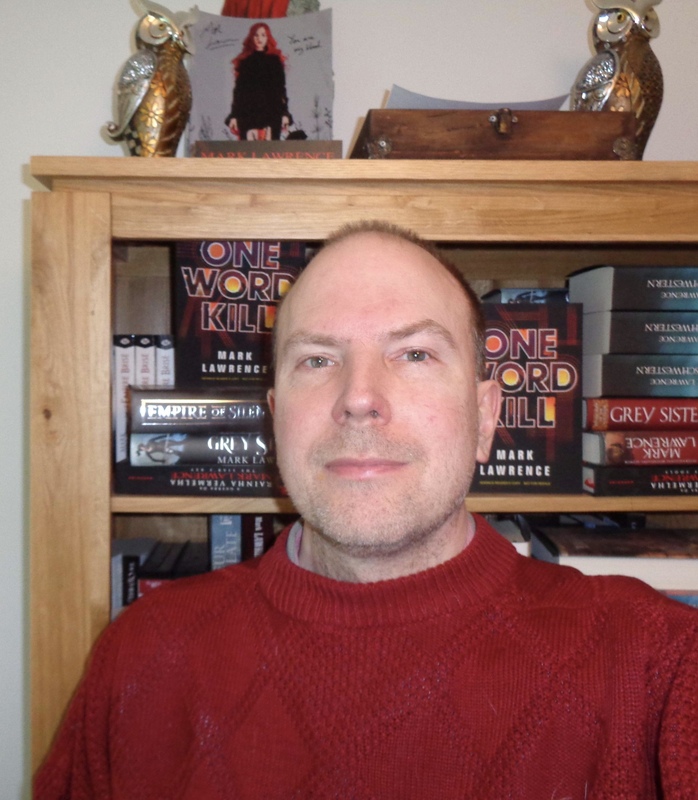 This year you also have the Impossible Times trilogy coming out, starting with One Word Kill, for which the first blogger reviews are starting to appear with a lot of high praise. The books are set in our world, in the UK, mainly in London and Cambridge, and are categorised as sci-fi. In what ways, if any, was writing them different to writing your fantasy series? The big difference is that I didn’t have to do any world building for the Impossible Times trilogy, just a degree of “world reminding” for those of us alive in the 80s, and “world showing” for the younger readers. But there was of course no need to invent a city, a country, decide on prevalent technologies etc. Additionally I suddenly have a vast expanse of modern references at my disposal, all of contemporary pop culture, the shared experience of modern civilisation. Linguistically it makes a big difference. I can make allusions and similes that I never could in fantasy. In that way it is very freeing. It was nice to make use of the telephone, television, fast transport, etc. That opens up the world, makes it at once bigger and smaller. There are, of course, attendant restrictions. I no longer have magic to overcome problems. I have to present London as it was, not as would be most convenient for the unfolding story. History is rich, but inflexible. A two edged sword. And of course my characters can’t just draw swords (two edged or otherwise) and get away with it. Well … they can in the D&D games, and we spend a fair amount of time with those, so I do get to have my cake and eat it. We get to mix in some orcs and mayhem, even if it’s within the confines of their gaming. 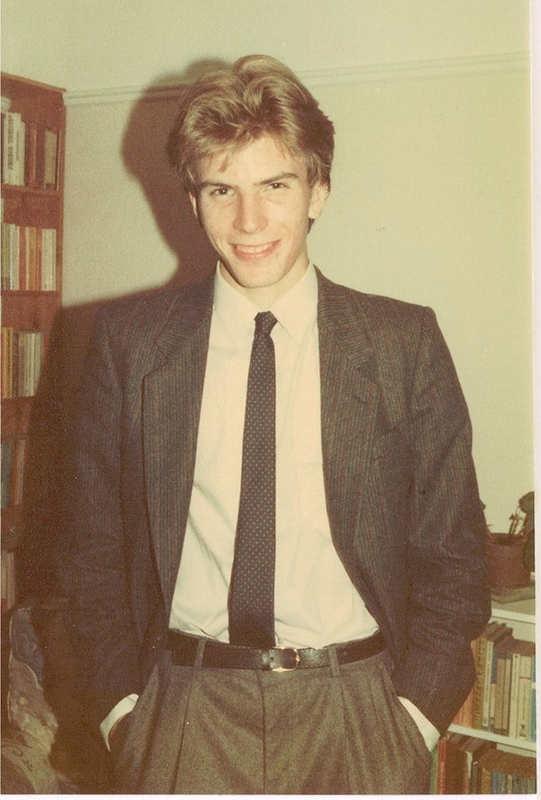 In our first interview you talked about growing up in London yourself, and spending your teenage years here. You parents still live here. If they read these books (do they usually read your books?) would be there anything that might make them reflect on those years? Something that would make them feel nostalgic or smile? Would they say for example, that ‘Oh, yes, just like these boys in the book, Mark used to play role-playing games with friends all the time’? I did grow up in London, yes, from age 1 to 18, and my parents are still there after more than 50 years! They do read my books, so it’s possible they will recognise echoes of my youth there. But less than you might think as the big majority of my teenage social life, and D&D gaming, happened in other people’s houses. D&D was certainly a big part of my life though, from discovering it at age 11 when the first Games Workshop opened around a hundred yards from my school gates, until I finished my first degree at 21. Were there any girls in your D&D group? From 11 to 18, in London, no. But at university, we did have one, yes. The daughter of a lord! Did you have a favourite character class? I was always fond of magic-users because there were a lot more ways to be creative with all their spells than with fighters where it’s more: “Well, I guess I’ll draw my sword and hit the monster with it. Again.” But almost always I was the dungeon master. It gives you far more creative choices. Also I like to be in charge! Do you find being a Dungeon Master similar to writing? There are several similarities. You need to have some kind of story to tell, something to tie together the encounters, and to give the players something to aim at in the longer term rather than just an endless series of find the monster, kill the monster, take its treasure. I used to write pretty good descriptive passages that I would read out. And you need characters for the players to encounter, whether they are people who might join their quest, a talking sword, or a minotaur with attitude. I think I did a decent job on the imagination front. Where I fell down was in the acting skills needed to bring things to life in real time. I don’t have those and they make a difference. So I feel I’m a better writer than I was a Dungeon Master. Though we had a lot of fun playing over the years. For a writer who plans, I think the differences are greater, because players rarely do what you want or expect them to do, and a lot of on the spot improvisation is called for. However, the characters in my books often go their own way rather than doing what I expect, so that’s not so different to a game of D&D. So. The Girl and the Stars. Can your readers know anything more about it than we already shared? The Girl and the Stars, TGATS to its friends, is the first in a new trilogy set on Abeth. The focus is out on the ice in the far north, so expect a very different experience. I haven’t finished writing it yet – I’m about a third of the way through book 2 which has the working title The Black Rock, so things are still quite fluid and I haven’t yet nailed down if there will be any overlap with the Book of the Ancestor trilogy, but I am having fun with it. So no more school setting? At least for this upcoming trilogy? And another female lead! Will she be the main focus of the book (like Jorg in the Broken Empire), part of a partnership (like Jalan in The Red Queen’s War) or surrounded by several high-screen-time characters (like Nona in The Book of the Ancestor)? She has an sizable cast around her and some are quite extensively developed, but she is definitely the star (excuse the pun). When is the first book expected to be published? Most likely around March 2020. Pre-orders help authors and the publication of their upcoming books tremendously, please consider supporting Mark and his books by pre-ordering them. Holy Sister pre-order links on Amazon US and UK. 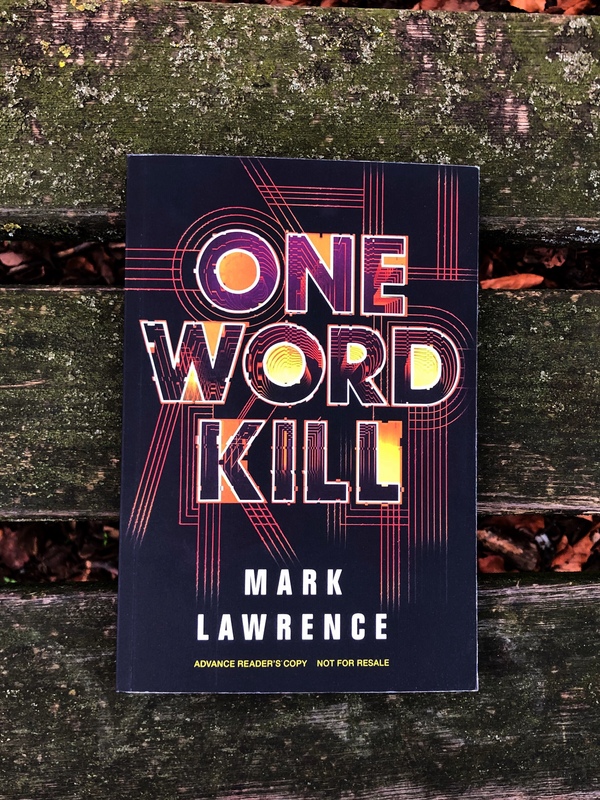 One Word Kill pre-order links on Amazon UK and US.